If there’s one individual to whom the world should be thankful for, it would be Dr. Maria Montessori. You are right, the Dr. Maria Montessori of the well renowned Montessori Method of Education! Her educational philosophy has been churning out not only bright young minds but children who have taken on — and are going to take on — the world and shape it according to their visions and imaginations. But before we cite a few notable personalities in the world stage that came from a Montessori education system, let’s tip our hats to the one who made it all possible for the generation of today and the generations to come. 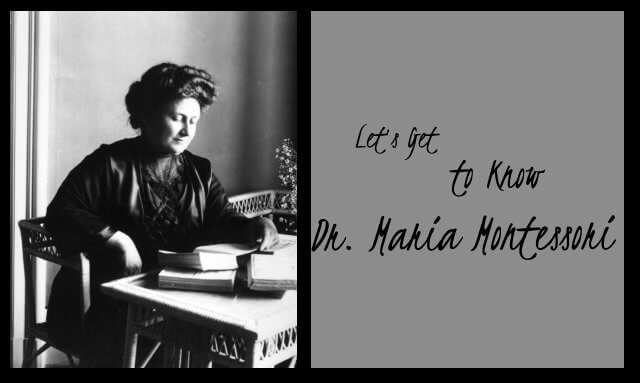 First off, Dr. Maria Montessori was a doctor, thus her title. But she was not a doctor of education, rather she was a doctor of medicine. Yes, Dr. Montessori was a physician — and not just any physician. She was the first female physician in the history of Italy. Not only that. Before she tried her hand into medicine, she had already accomplished many things in the field of mathematics, engineering, biology, philosophy and psychology. It was after studying philosophy, psychology and working with several different groups of children that she created innovative tools designed to stimulate the growth and development of young minds. And, as we love to say it, the rest was history. It’s time now to give the floor to a few of the many notable fruits of Dr. Montessori’s equally bright mind. If you don’t have any idea who Bill Gates is, then you are not living in the present. By founding Microsoft, he makes computing so much easier, more accessible and more affordable to many. He had this vision to make personal computers a permanent fixture in the homes of as many people as possible. And he did it, in the process making him the richest person on the planet for many years. This brilliant duo have put almost everything at the tip of our fingers – from information and data, to pictures, to music, to videos, to music videos, to movies, to almost anything you need to know, see and hear. Have a smart phone, or a tablet or a personal computer or even a television set that’s running on Android, and life will never be easier and more comfortable. Thanks to Mr. Page and Mr. Brin, you google it, you have it. Talk of online selling and Amazon.com lords it over. Bezos’ company is proud of its Kindle, lightning fast shipping and selling virtually everything online. Not content with his success on earth, he is now setting his sights on the opportunities outside of this planet. He is now into aerospace manufacturing and spaceflight services through his another company Blue Origin. Married to probably the most famous president America has ever had, Jacqueline Kennedy Onassis was as iconic as her husband in her own right. She was the epitome of impeccable fashion and cosmopolitan lifestyle. True enough, during her stay at the White House, she restored the presidential mansion into a more elegant and stylish place. If music is not your cup of tea, there’s a fat chance you don’t know this man. Much more if you don’t appreciate theater productions. Theater is where Sir Andrew Lloyd Webber is magically weaving his web, although many of his compositions have gone famous offstage as well. Songs like “I Don’t Know How to Love Him” from the play Jesus Christ Superstar and “Don’t Cry for Me Argentina” from the stage production Evita are huge hits in mainstream music, too. If you are setting a high bar for your child to achieve in life, there’s no question about it. You need Montessori Children’s House, the visionary-moulding Early Childhood Education in Riverside, California for her or him. For your inquiries you can visit Montessori Children’s House’s office at 10493 Magnolia Ave., Riverside, California 92505. You can also call the Early Childhood Education in Riverside, California at 951-359-5437. Email us at mjayarat@gmail.com or chat with any of the admin staff of Montessori Children’s House via Facebook, Twitter or LinkedIn. The Early Childhood Education in Riverside, California is active on these sites. Aim for the stars for your little one — for somebody from a Montessori system has already begun doing it literally. Please post your comments and reactions to this statement on the box below.